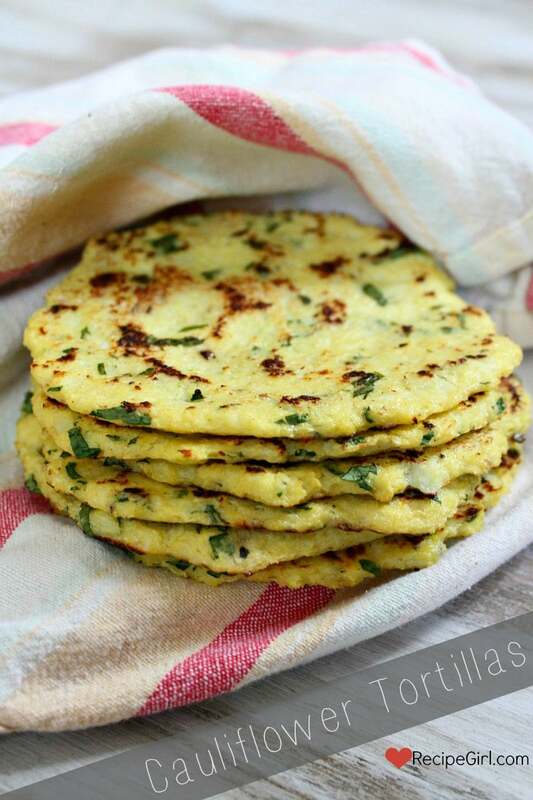 This recipe may come as a shock to you, but today I’m going to show you how to make tortillas out of cauliflower… yes, these are Cauliflower Tortillas! 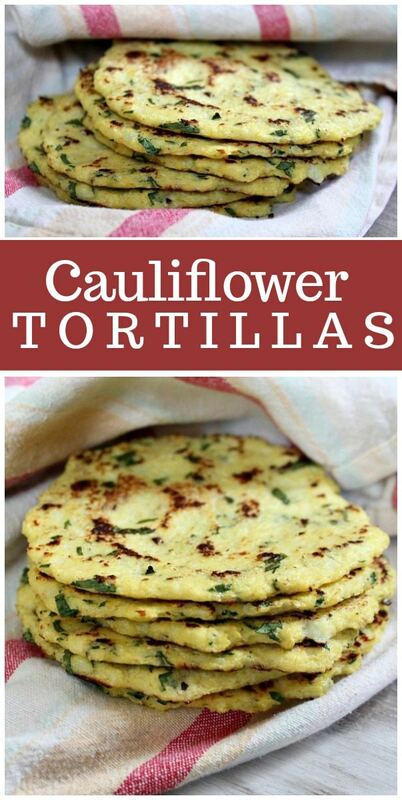 Watch the quick, how-to video showing you how to make Cauliflower Tortillas, then print out the complete recipe at the end of this post so you can make them at home. Don’t be scared. They sound strange, I know. The funny thing is that they are both strange and wonderful. 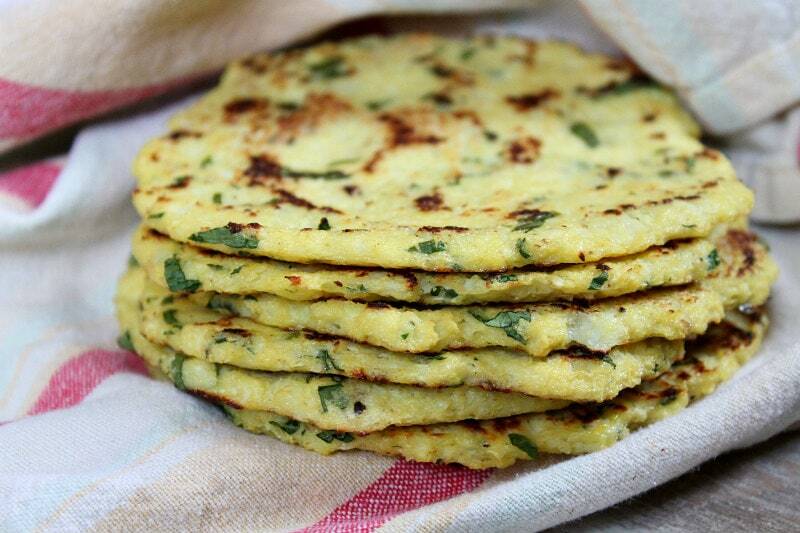 Cauliflower Tortillas don’t taste like your typical corn or flour tortilla at all. They’re a simple substitute for using grains, and they totally work. 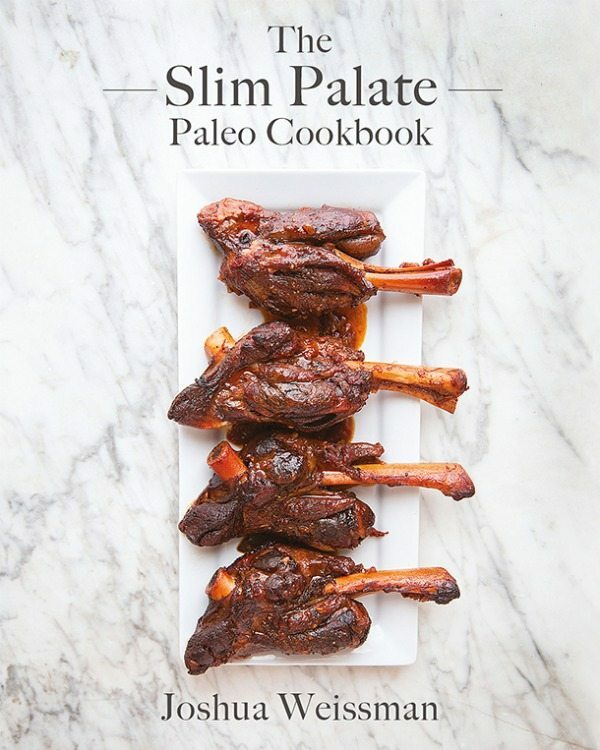 The recipe (with a couple of small changes) comes from Joshua Weissman’s book: The Slim Palate Paleo Cookbook. I’m not on the Paleo diet, and if you’re reading my blog, you’re probably not either, but you don’t have to be eating Paleo to enjoy this recipe or indulge in reading this cookbook. There is a lot to this cookbook that cookbook lovers will embrace. First of all, it was written by a (then) 17-year old who was in the midst of making healthy changes to his life (see photos below). 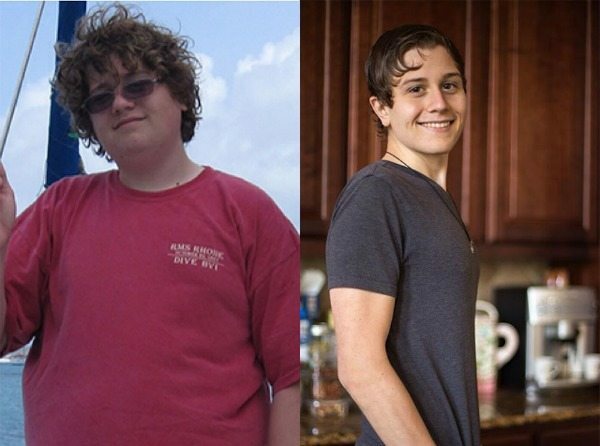 Joshua decided to take charge and incorporate real food into his life (no grain, gluten or refined sugar), and in the process of doing that, he lost 100 pounds and wrote a cookbook. I don’t “treasure” cookbooks all that often, but I am truly in love with this one. I’ve been reading it like a novel, and it’s so impressive and inspiring to know that it was written by such a young person who is intelligent beyond his years. The book contains recipes for all meals of the day. Those recipes on my list to try very soon are: Bacon and Caramelized Shallot Quiche, Grilled Coconut- Basil Chicken, Sweet Rosemary Meatballs, Sea Bass with Fennel and Tomato, Egg Drop Soup, Indian Cauliflower Couscous, Spaghetti Squash Alfredo with Mushrooms, Salted Dark Chocolate Almond Butter Fudge, Pumpkin Blondies, and Strawberry- Toasted Vanilla Bean Ice Cream. YUM, right?? There is a big, beautiful photograph for every single recipe- and all of the photographs were taken by the talented Mr. Weissman. Losing all of that weight as a teenager is really impressive. How did you manage to get through it all with the temptations that a teenager is exposed to? It was an incredible challenge at first but eventually none of it was as appealing to me as reaching my goal. What are your top 5 favorite recipes in the book? The pork chops with lemon and sage, lamb vindaloo, braised morrocan chicken, seared brussels sprouts, and the halibut with creamed leeks. I’ve often thought that a Paleo diet is something I could really follow and embrace… until I start thinking about bread and desserts and cheese and wine. Don’t you miss all of those things (except for wine, of course)? Do you ever take a day off and indulge on chips and candy? Well here’s the thing. I believe that Paleo is more of a template for finding what works for YOU! I actually downplay Paleo quite a bit in the book because of that belief. It works wonders as a basis for people to start at for a while and then slowly reincorporate certain real foods like dairy, white rice, etc. and see how they feel. I personally eat white rice, white potatoes, and dairy because it works for me. Paleo really has evolved (no pun intended) since it’s earlier years. As for your specific question about chips and candy I simply choose whole natural food sources of these things when the hankering strikes. I prefer to make these treats myself which in turn causes me to eat them far less because of all the work that goes into making them (that’s how it used to be!). Not to mention I just found a potato chip company that makes organic potato chips with nothing but organic potatoes, organic coconut oil, and sea salt. That definitely fits the bill to me, although even those I would limit, but I’m fairly sure anyone that has any sort of consciousness of healthful eating would limit an intake of this. Really it’s not all as crazy as you think. Lastly, no, I do not miss bread at all. If I get the hankering for bread which still hasn’t happened lately then I will eat a gluten free bread, but until that happens I think I will be just fine. It’s about eating for happiness and maximum healthfulness not living in constant depression because of all the things you “can’t” eat. This means finding what works for you, as mentioned before. 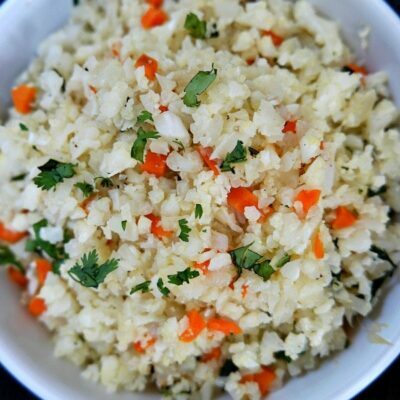 It begins with cauliflower that has been obliterated into cous-cous-like granules in your food processor. 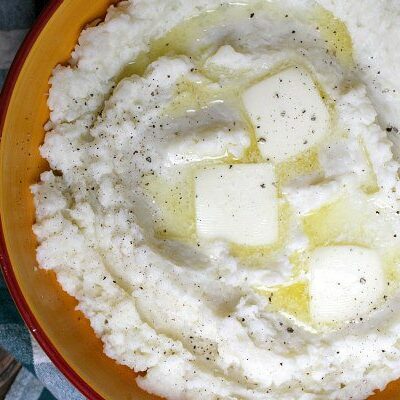 Some people have mentioned in the comments that they’ve had success using already riced cauliflower instead of processing a head of cauliflower. Once it’s in this state, a short stint in the microwave softens it up. If you don’t own a microwave, just steam it on the stove instead. When cauliflower is cooked, the moisture comes out in full force. 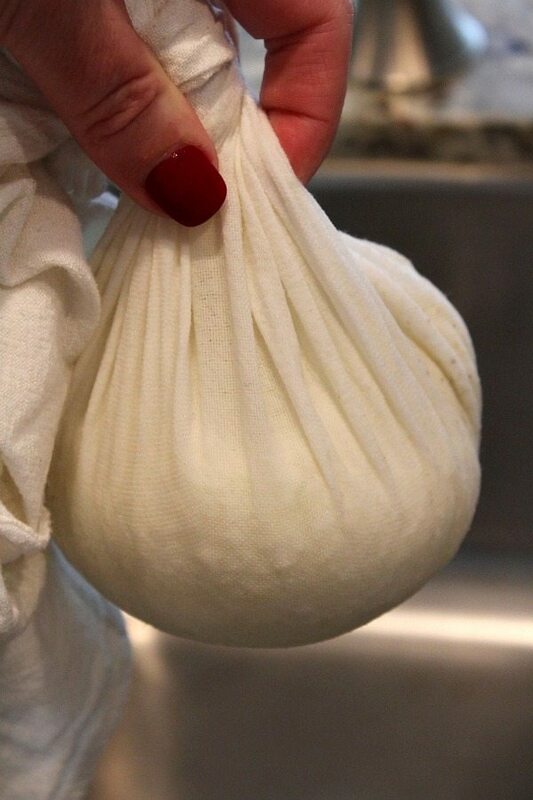 Wrapped in cheesecloth or a thin dishtowel, you can gently squeeze out the moisture. It’s important to squeeze out ALL of the moisture! 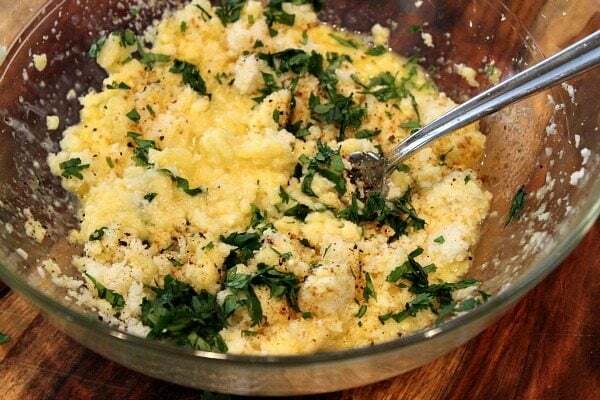 The crumbled cauliflower is mixed with egg, salt and pepper (I add fresh cilantro and lime juice). If you are vegan, or if you are allergic to eggs… readers have mentioned that they substitute flax eggs without any trouble. This mixture is shaped into “tortillas” and baked- first on one side and then on the other. Then the Cauliflower Tortillas are placed on a rack for a bit of cooling. The final quick step in the recipe is tossing them in a heating skillet for a little browning and crisping on each side. That’s it! 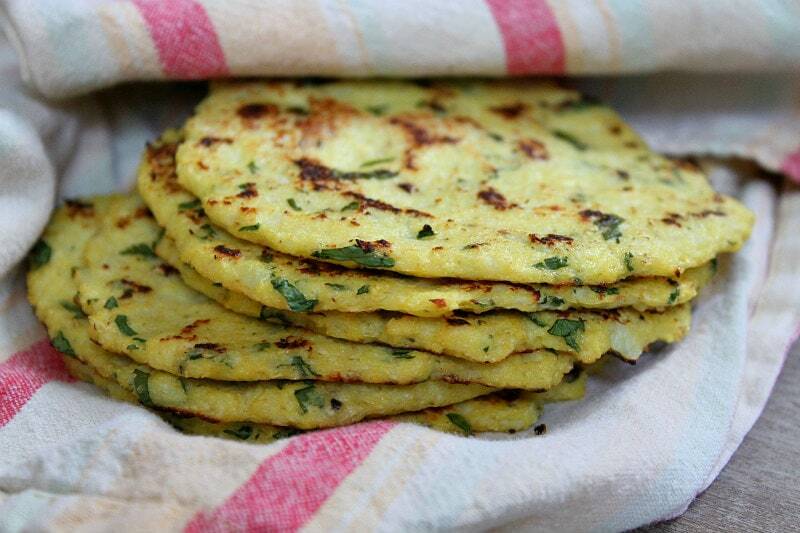 I enjoy these Cauliflower Tortillas straight out of the pan for eating. I also enjoy them with a little cheese melted on top like a quesadilla. They’re also good in the morning with a scrambled egg and eaten like a taco. They are somewhat pliable to bend and fill with a small amount of filling for tacos, but they are most certainly perfect to eat all by themselves too. I recommend eating them “tostada-style” because they may tear when trying to bend like a taco. Try topping them with this Best Ground Beef Taco Meat. Can you taste the cauliflower? I’d say, yes. 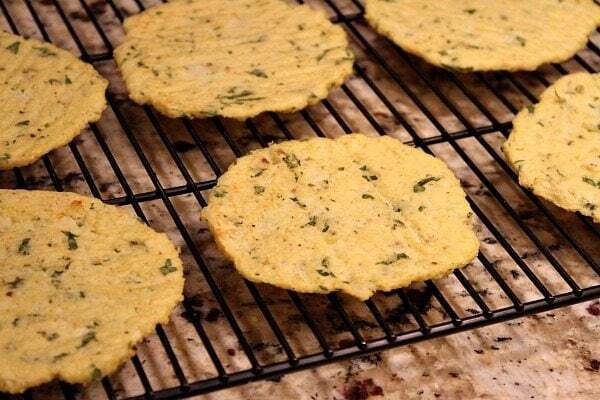 If you’ve ever sampled the cauliflower pizza crust, you’ll most likely also be a fan of Cauliflower Tortillas. 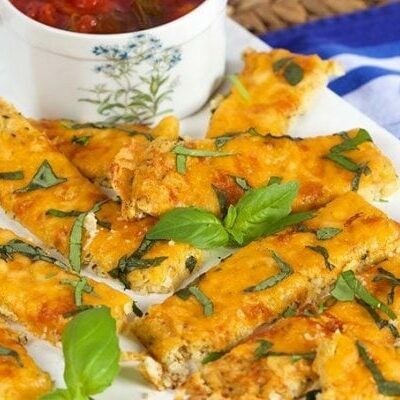 You might also like to try my Zucchini Pizza Crust too! 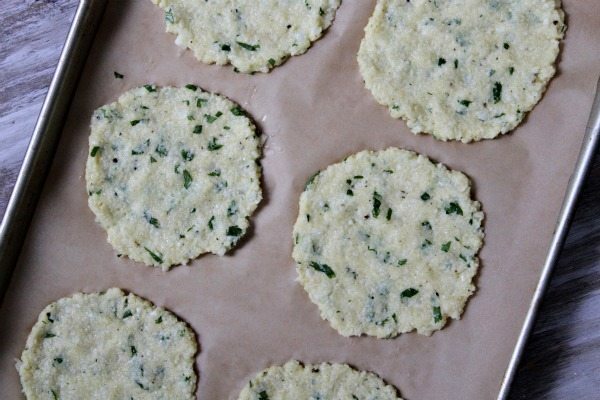 Can you freeze Cauliflower Tortillas? This is a commonly asked question, but I haven’t tried freezing them so I’m not sure how well that works. My guess is that they would be fine. 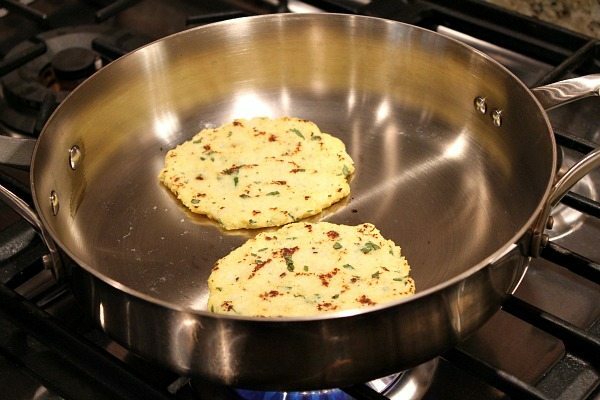 Just heat them in a hot skillet to warm them up and make them pliable again. Try them, and let me know what you think. I was given a copy of this cookbook for review. All opinions shared are my own. Amazon affiliate links are included within this post. This recipe was originally posted in 2014. It was updated and re-published in 2018. We loved these tortillas. (even the hubby who is from mexico). Thanks! Wondering if these can be made and frozen for future use and if so what’s the best way to thaw? I’ve never tried freezing them. This is a brilliant idea! Such low carbs! 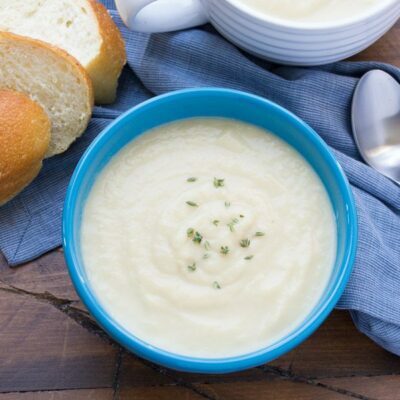 Cauliflower is one veggie the whole family loves! I cannot wait to try these! The cilantro and lime add so much flavor here. Fantastic! These are fabulous with melted cheese! I don’t do well with carbs and now I have a new delicious snack! 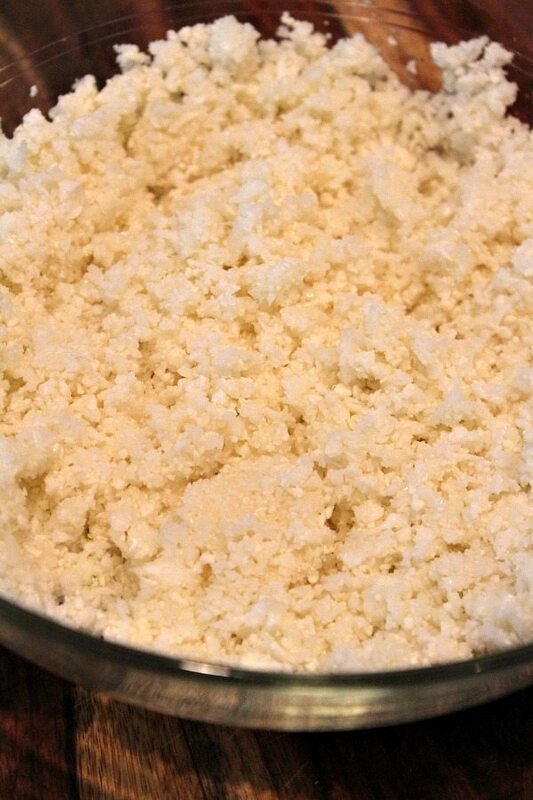 If there is any moisture in the cooked cauliflower rice, you should squeeze it out. These look great! Do they fold easily? No, they do not! When I’ve used them for tacos, I make them “tostada style” so I can enjoy the filling without it falling all over the place. Not a well thought out recipe! Why not spread out the cauli on a tray and cook in the hot oven? When the moisture level is right add the egg etc and fry the tortillas in a hot pan? You can cook to whatever crispiness you desire! Let us know if you try it that way! I made these with frozen cauliflower and they turned out great. I used steam in the bag cauli, cooked, processed then dumped out into a clean tea towel. Cooked a little then squeezed the stew out of it!! Amount looked less than 2 cups so I only used one egg plus one egg white. Cooked up perfectly– made 4 tortillas. I’m excited to try this recipe, as tacos are my hubby’s favorite food. But instead of using a whole head of cauliflower, I would rather use the cauliflower that’s already diced finely, that you could buy in a bag. So do you know how much I would use? Like in cup measurements? Or the whole bag? I’m not sure… does it give any indication on the bag that it’s one head of cauliflower or something like that? These came out very, egg-y. It was almost a cauliflower frittata. If that’s your thing, they are great. Unfortunately it’s not mine. These look so yummy ?. Is there a substitute for putting them in the microwave? I don’t use one. I have a mini convection oven? Will that work? You could probably steam the cauliflower, but since that draws a lot of moisture– make sure you really squeeze the moisture out of it. 3/4 head of cauliflower isn’t really a very good measure. I normally live in Spain and 3/4 head of cauliflower there would be much more than some of the whole cauliflowers I’ve picked up in the UK. If all the recipes are this slack on measurements that would put me off the book. It isn’t really a recipe if you have to faff around trying to get it the measurements right. I probably should do that! The recipe looks very appetizing. What you recommend as an alternate option for someone who chooses not to use a microwave and doesn’t own one? Thanks! I believe that some people have tried steaming the cauliflower, but you’ll need to work hard to squeeze all of that moisture out! 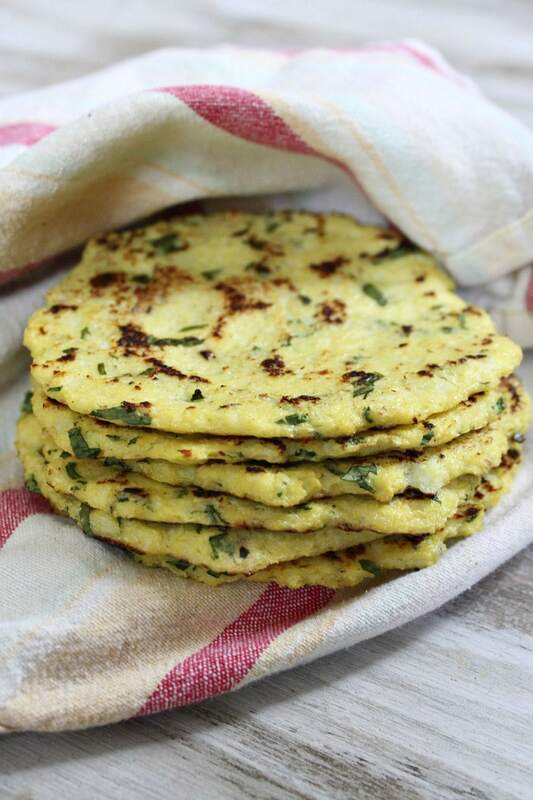 Made these tonight using 2 bags of the frozen Green Giant riced cauliflower. Cooked chicken thighs on my stove griddle and then threw the patties onto the griddle afterwards for the final browning. The extra flavor of the chicken grease made them super flavorful! I have had this recipe for quite some time. Finally made them…..twice! They came out perfect both times and they are delicious! My husband doesn’t like cauliflower so, more for me???? The key is definitely getting out all the water. Thank you for sharing?